August 23, 2012 May 4, 2016 by Matt, posted in Databases, eBooks, Nonfiction, Research Help! 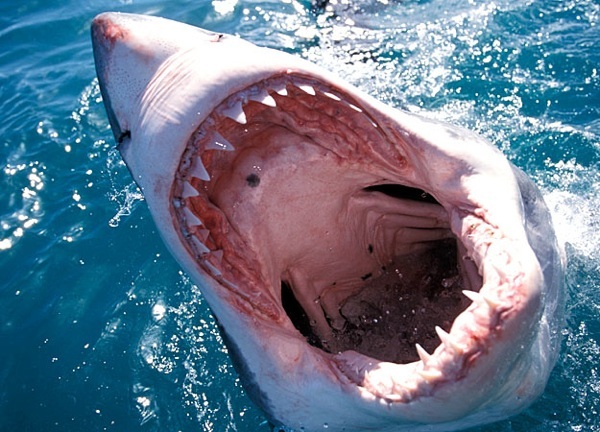 For the 25th year in a row, the Discovery Channel has aired its annual pop-culture event, Shark Week. 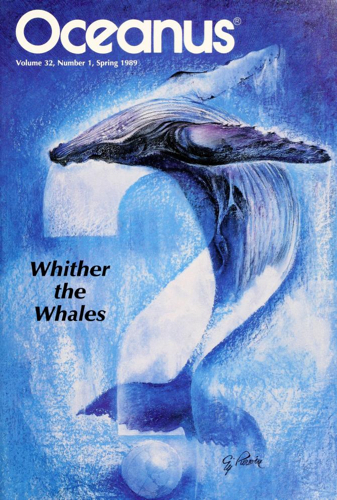 Year after year, starting in 1987, America (and now up 72 additional countries) has enjoyed watching films and documentaries of these predators of the sea, diving, swimming, and tearing chunks of the flesh of unsuspecting sea creatures. Before we get into a breakdown of which sources are scholarly and which are popular, it is good to take a second and understand the differences between the two. You are probably at this time most familiar with popular sources (even if you may not know that they are referred to in this way). These are the papers and articles that you find published in newspapers and magazines or online at blogs and on websites. Popular sources are articles that are written to be consumed for large audiences, and in this way tend to be devoid of specialized language, are usually modest in length (1-5 pages), and feature photos or advertisements throughout the article. Some common examples of popular sources are Time, Nature, Scientific America, People, etc. The authors of these articles are staff writers hired by a publishing company, and the process for publishing requires submitting one’s work to an editor for proof-reading and fact-checking before it goes to press. Scholarly articles on the other hand are papers that are published in academic journals and are specifically written for scholars, researchers, and students. Thus they contain highly specialized vocabulary, along with the assumption that the reader does not need basic principles spelled out for them. Before being published an academic paper must go through a process known as peer-review, wherein a panel of experts judge the paper on whether it meets the accepted standards of their discipline and prevents the dissemination of irrelevant findings, unwarranted claims, unacceptable interpretations, and personal views. When you come across a scholarly article you may first notice that the credentials of author are listed in the paper (usually naming the Institute that the person(s) is affiliated with). This is one of the key components of an academic paper because it shows (1) that the author has a job outside of writing these paper (therefore they are not a staff writer like popular source authors) and (2) it establishes the author’s credibility or expertise on the subject being covered. Another common feature of academic papers is that the author does research before writing the paper and then provides citations to the research they used in the paper (along with a reference list, work cited, or bibliography at the end of the paper), which both provides readers with both a list of the sources that the author has used, and also allows scholars to go back and double check the references that the author has used, to verify their accuracy. And finally, Scholarly Articles tend to lean heavily on statistics which are represented in the forms of graphs, tables, charts, or maps. Hall, J. (2011). Man Up for Sharks. 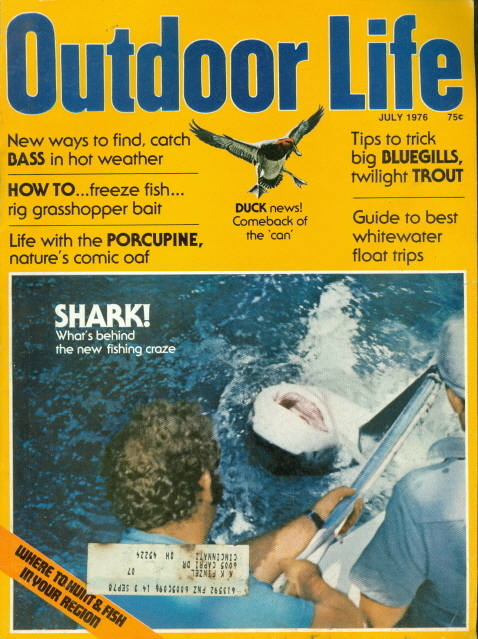 Outdoor Life, 218(8), 21-22. In this article, journalist James Hall, decides that he wants to know what it’s be like to be a catch a shark, so he asked Madfin Shark Series Competitor, Paul Michele to help in out. This articles has several common features of a Popular Article. Notice the writing: It is very informal and devoid of technical jargon (i.e. industry words) mostly describing what the experience was like. Notice the length: It is only two pages! Hisano, M., Connolly, S. R., & Robbins, W. D. (2011). Population Growth Rates of Reef Sharks with and without Fishing on the Great Barrier Reef: Robust Estimation with Multiple Models. Plos ONE, 6(9). In this article, researchers Mizue Hisano, Sean Connolly, and William D. Robbins, investigate declining population trends of reef sharks due to overfishing and then suggest ways to combat these trends. Check out some features of this article that clearly establish it as Scholarly. Notice the authors: Each contributor has their credentials listed below their name, all of who stem from an academic setting. Notice the format: This paper is a scholarly article based upon a scientific study. In such papers, the process of the scientific method must be thoroughly explained so it can be demonstrated that there was no bias. Thus in addition to section like results and discussion, you are also provided with methodology. Scholarly articles, for the most part, also contain an abstract, or paragraph summary at its onset. Notice the references: Scholarly articles must demonstrate what their research was based on, therefore an article will have a long reference list at its end. Hamady, L. (2011). Clues in Shark Vertebrae Reveal Where They’ve Been. Oceanus, 49(1), 10-13. In this article, lifelong ocean lover, Li Ling Hamady, discusses efforts to track the over-fished and no endangered, basking shark. To do so, a scientist must attach a tag to the shark, a process in which Ms. Hamady details then notes the significance by highlight past scholarly studies and talking to experts. Check out some features of this article that clearly establish it as Popular. Notice the format: While scholarly articles typically have a straight forward structure, popular articles will tend to wrap its text around the graphics of the story. Notice the language: Ms. Hamady, is clearly informed on the subject she is covering but not an expert. Therefore, she does assume you are, and either avoids specialized terminology or explains it when it comes up. Notice the author biography: Like a scholarly article, Ms. Hamady’s credentials are listed at the end of the paper. Unlike, a scholarly article, however, instead of a means to establish expertise, Lim’s are listed to increase likeability. Gleiss, A. C., Norman, B., & Wilson, R. P. (2011). Moved by that sinking feeling: variable diving geometry underlies movement strategies in whale sharks. Functional Ecology, 25(3), 595-607. In this article, researchers Adrian Gleiss, Brad Norman, and Rory Wilson, investigate movement features (i.e. speed, distance, locomotion) of sharks using data collected from tags placed on nine sharks. Check out some features of this articles that clearly establish it as Scholarly. Note the publisher: Scholarly journals are usually published by an academic press (publishing company based out of an university or college) or a not-for-profit professional association. 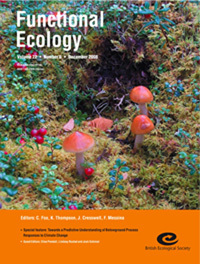 In the case of this paper, a professional association (British Ecological Society) publishes the journal Functional Ecology. Note the length: Because of the amount of information being conveyed and they need to demonstrate lack of bias and competency of research, scholarly articles are inherently longer in nature then popular articles. This article is 12 pages in length. Note the statistical representation: Because a lot of scholarly articles make arguments through the use of statistics gathered by the research the paper is based on, they tend to be full of graphs, tables, charts, etc. Telling the difference between an academic and popular resource doesn’t require the ability to wrestle a great white, all it takes is practice. However, there are times that you may not be able to tell which you are looking at. When that time comes, stop by the Library and ask a Librarian, who will be gladly there to assist you. Previous postBack to School 2012! Next postThe Library’s new Group Technology Lounge opened this week!